I've been collecting matchbooks from different places around the world for awhile now. I keep them in a large glass bowl and I love how they look all piled in there. Different shapes, different colors, different names and places. Its like a scrapbook of sorts. I'm in love with this frame idea! I'm trying to convince my Dad to give me a collection of old stamps he has so I can do the stamp version of Erikas idea...Dad, did you change your mind yet? I love hearing about people's different collections, and the display that Erika devised is gorgeous! I love this idea, hopefully your dad will change his mind! My parents still have the matchbook from their first date! They have a HUGE glass container of matches from their 35 years together, and it is so fun to hear about their memories when they did deep into it. I am copying them and we have two bowls of matchbooks already. 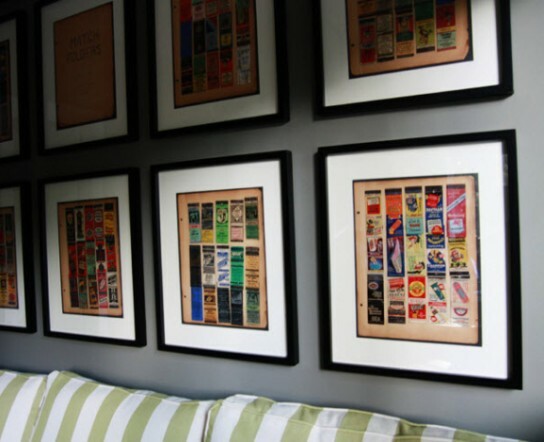 One of my best friend's fathers had a collection of matchbooks under a piece of glass in their niche of a bar area - I always thought it was so chic!! Framed is terrific as well!! 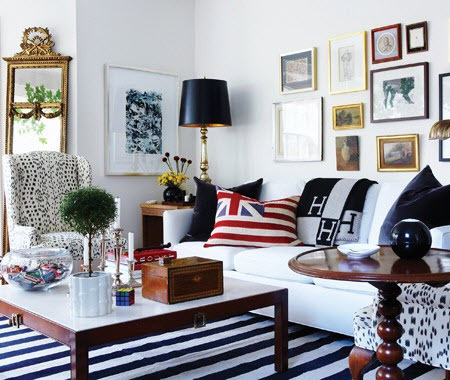 LOVE the framing idea! Thanks for sharing!! What a great idea! My mom used to collect matchbooks and I always loved to look at all the colors and designs. 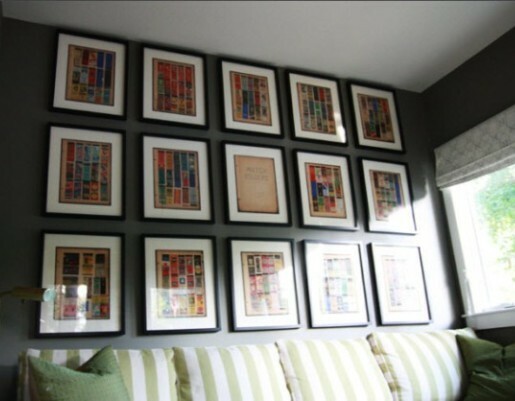 I also love your idea to frame stamps. I should put mine all into something. I have old matchbooks in various drawers and boxes and it would be nice to display them. Great idea! Love, I collect them too! I have a bunch that my grandmother collected from all over the world! It's nice that restaurants are non-smoking now, but it's sad that matchbooks are becoming a thing of the past! I'd have to take the framing option now that I have kids (and would like to keep my house standing). I want that living room in the first pic, gorgeous!!! We have a collection of matchbooks (and restaurant business cards) also. I love the idea of framing them. What a great way to show off a collection.